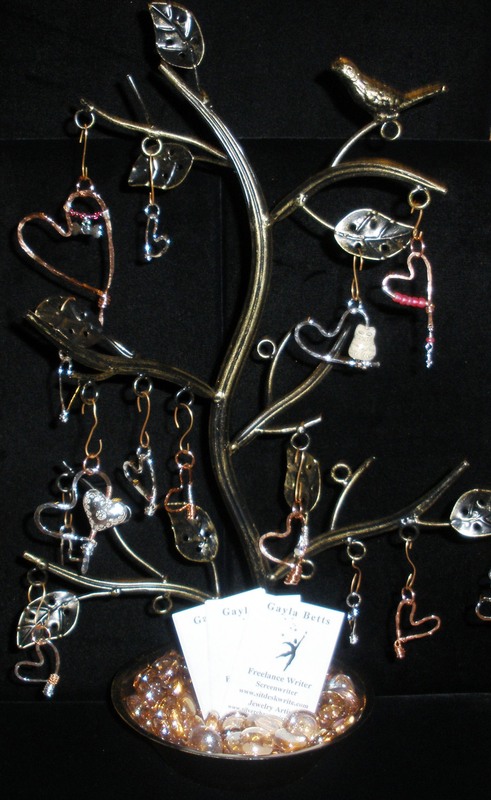 There’s a new tree of hearts in town available at The Pod, in Uptown Normal, Illinois, across from the Discovery Museum. 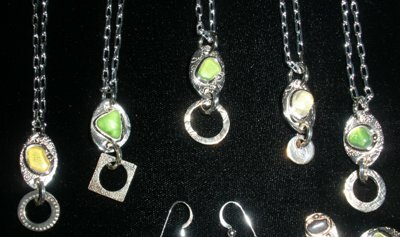 Here’s their information through Uptown Normal, and here’s their Facebook page. 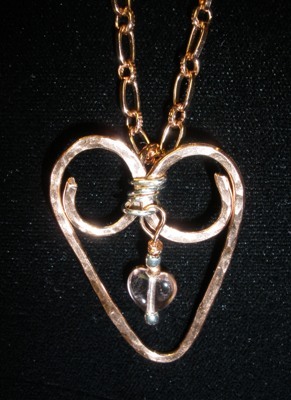 I love to make and wear hearts all year round, but especially for Valentine’s Day. 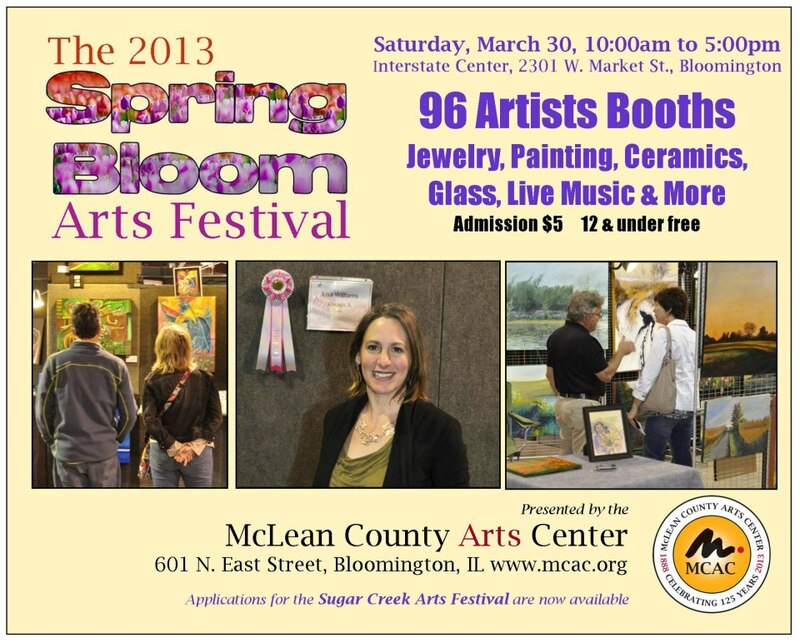 It is one my favorite times of the year. 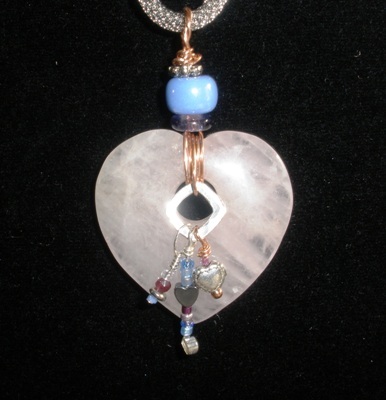 Hearts, chocolates, champagne… who needs more? 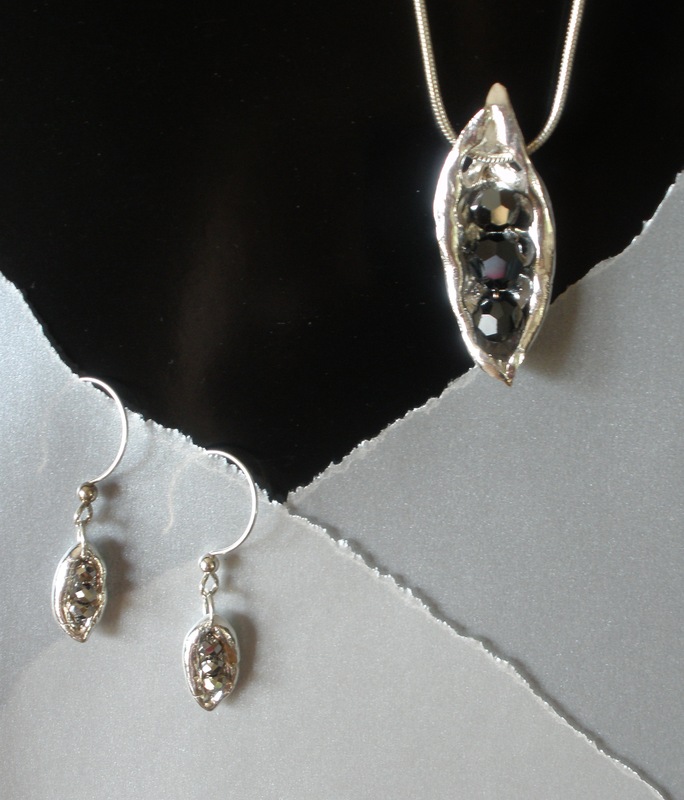 Oh yes, jewelry makes celebrating complete. 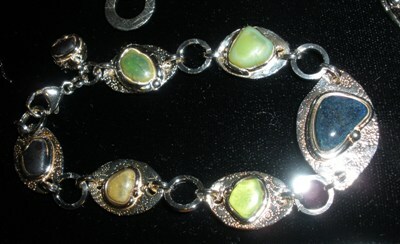 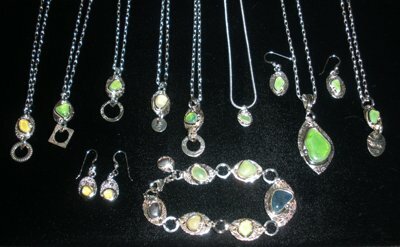 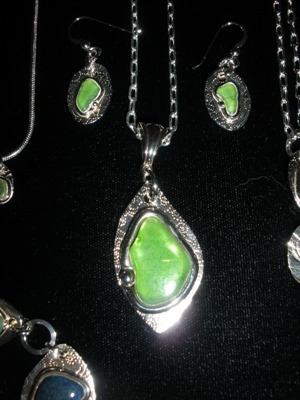 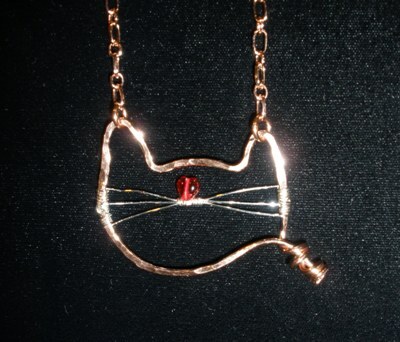 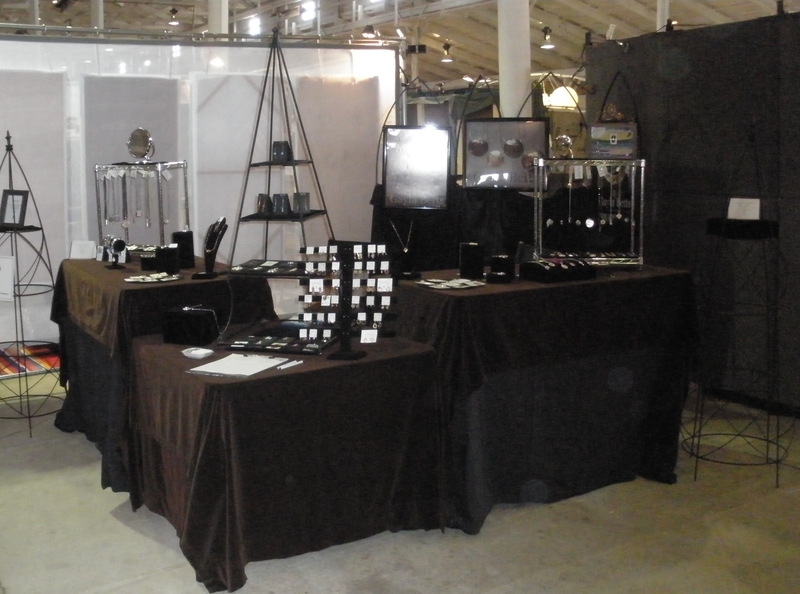 Other places to find my jewelry are listed on my Here I Am page. 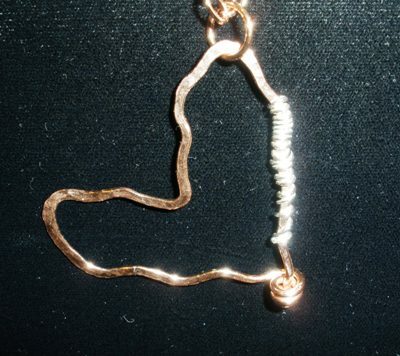 Thanks again for your continued support. 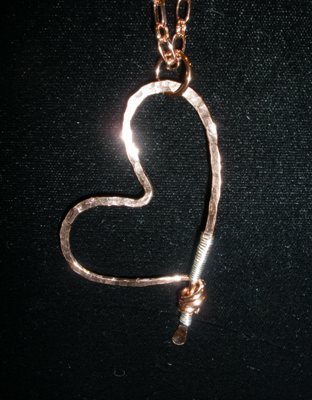 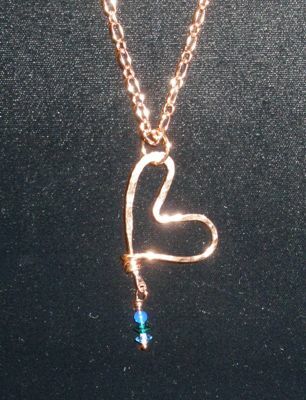 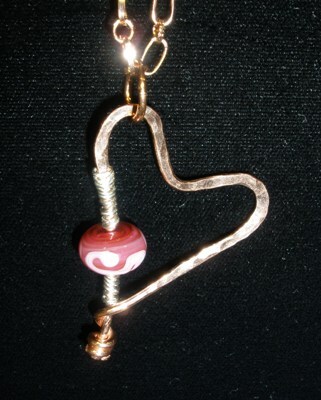 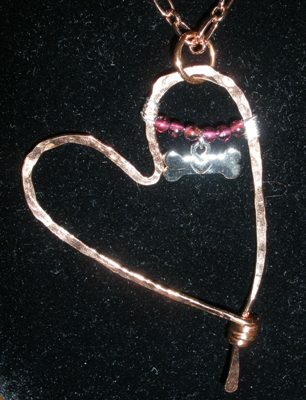 Copper heart pendant with wrapped silver, garnet, charm. 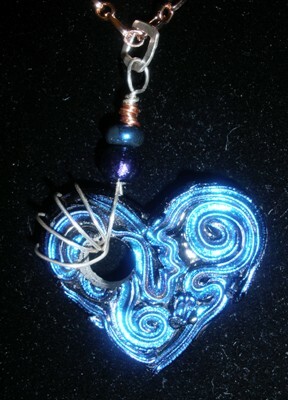 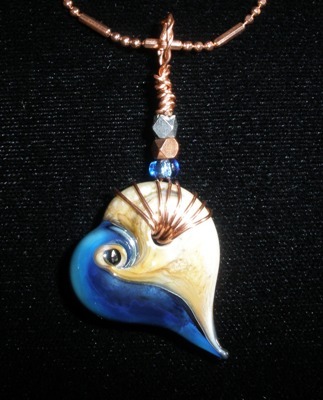 Dichroic glass heart pendant with silver and copper. 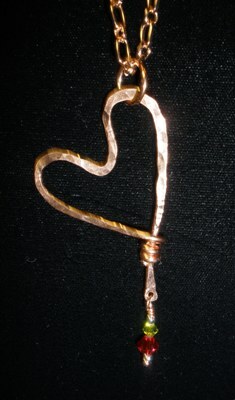 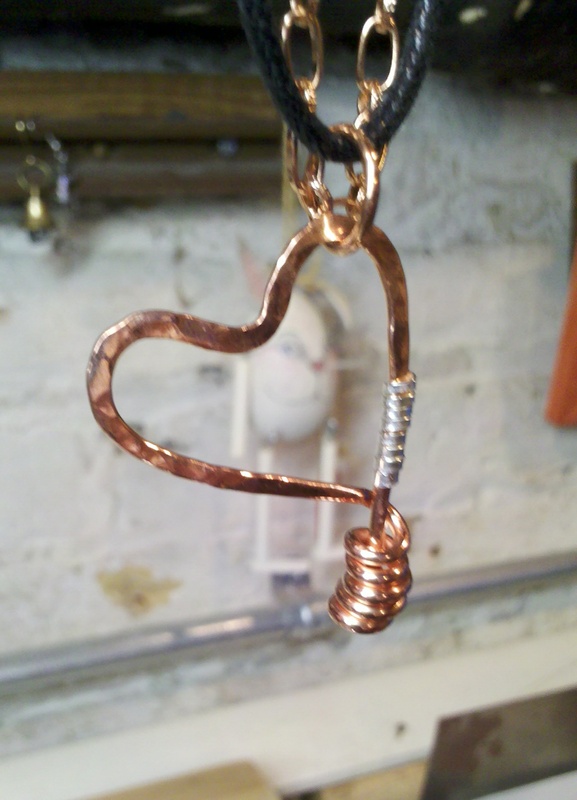 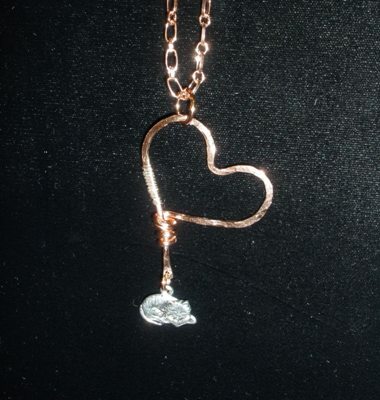 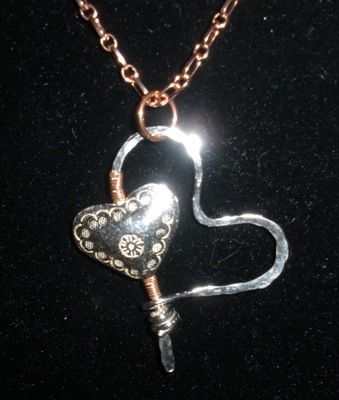 Double heart pendant with sterling and Thai silver and copper. 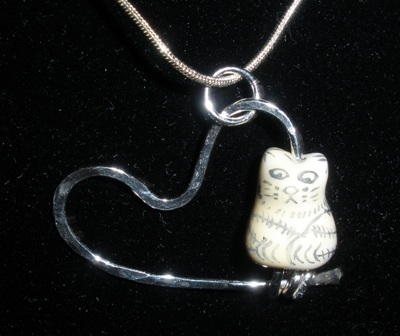 Ceramic kitty on silver heart pendant. 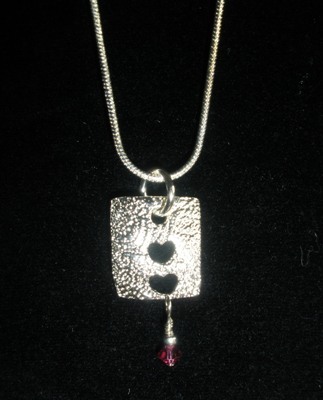 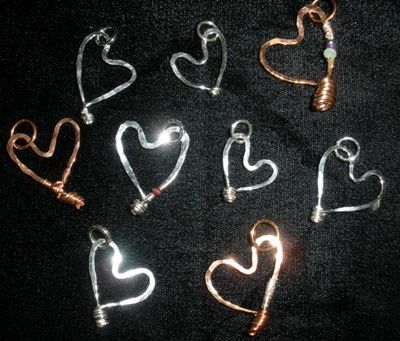 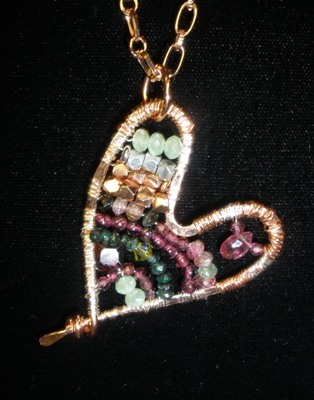 An array of heart pendants,some with copper, silver, ruby, amethyst, crystal.